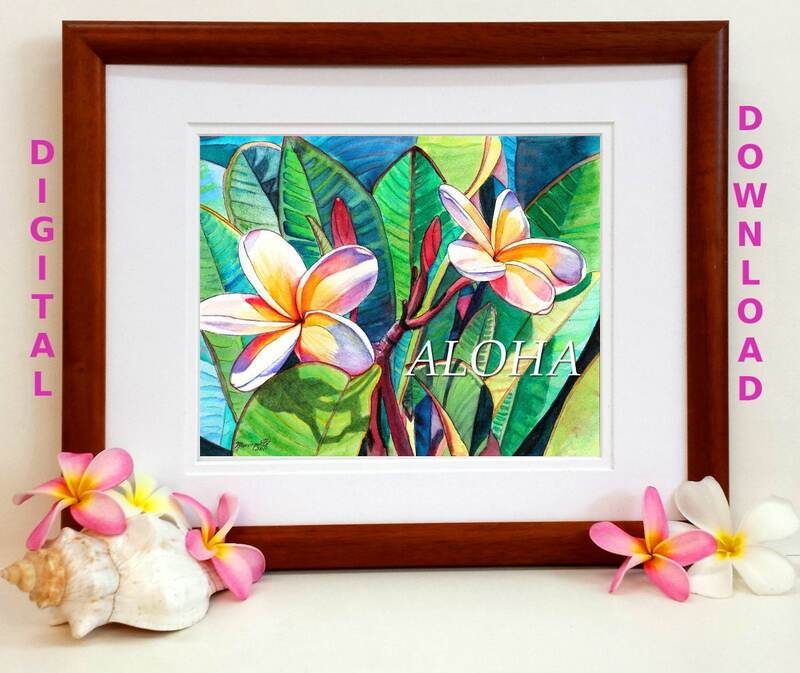 "Aloha Plumeria Garden" is perfect for adding a touch of Aloha to any room. ***This item is an instant digital download. (Nothing will be shipped to you). The .jpgs will be available for immediate download once I receive your payment. Nothing will be mailed to you. The color of the images may vary slightly depending on the settings of your printer or monitor. This image is for personal use only. You may print it as many times as you want, but it is not for resale. The artist (me) owns the copyright on this image. You may print from your home printer, take it to your local printer or upload it to an online printing service such as Shutterfly. 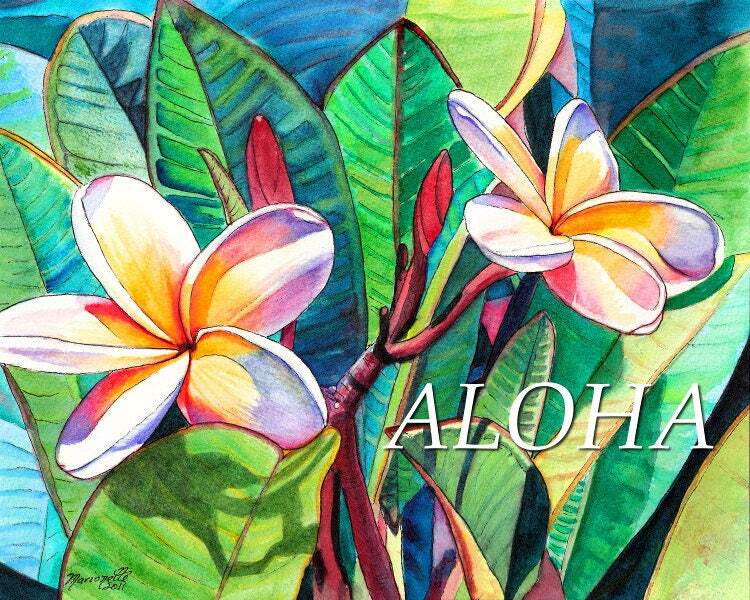 If you would like me to print this item for you on watercolor paper, please contact me and I can create a custom listing for you to purchase. If you would like to customize this print with your own saying, a name, or something else, please let me know and I can design a custom listing for you to purchase. Because of the nature of what you are purchasing, no refunds are given for digital downloads.